The Mid-Atlantic Ridge is the branch of the mid-ocean ridge that runs up the middle of the floor of the Atlantic Ocean. This ocean was not always so wide. About 150 Million years ago (150, 000,000 years!) North America, Europe, and Africa fit snuggly together. On a map you can see how the shapes of their coastlines fit. At about that time, the three giant blocks of the Earth split apart as a rift developed between them. As the rift widened and seafloor spreading began, the continents moved slowly apart. Seafloor spreading is a very slow process, not much faster than the rate that fingernails or hair grows, but over millions of years this adds up. Today, the continents are about 3000 miles apart and seafloor spreading has kept up with their growing separation to make the rocks beneath the Atlantic Ocean. 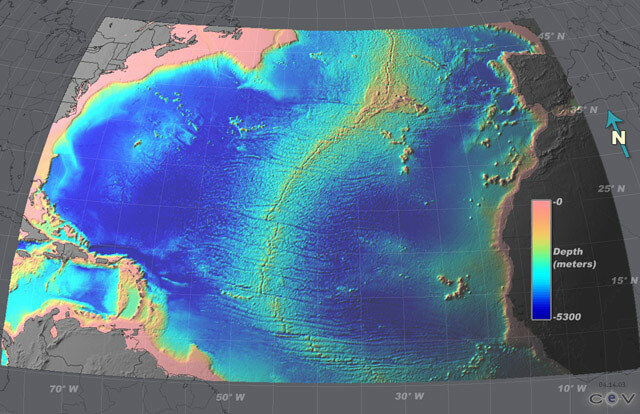 Seafloor spreading is one of the most important processes on our planet. At the rift in the middle of mid-ocean ridges, volcanoes, circulating hot water, and very peculiar animals all come together. Each of these contributes in its own way to what are referred to as “hydrothermal systems”. The volcanic activity happens because of the way the rift opens. As it widens, hot material of the Earth’s, mantle which is made up of bright green rocks call peridotites, rises to fill the gap. As it rises, it begins to melt by just a little, a few percent. The easiest-melting droplets of material mix together and form streams of liquid that move upward toward the surface faster than the mantle material it came from. The hot molten material (about 1400° C or 2500°F) rises because it is much less dense than its surrounding material, just as a balloon with hot air or helium rises through the atmosphere. As it approaches the surface it can form large pools called magma chambers where crystals grow in it as it cools. As cracks form in the seafloor above, the magma leaks out to the surface as lava-the same material as what comes out of volcanoes in Iceland or Hawaii. The cold seawater on the bottom of the ocean chills the lava very quickly and it forms lumpy masses called pillow basalts (basalts are a very common type of black volcanic rock). 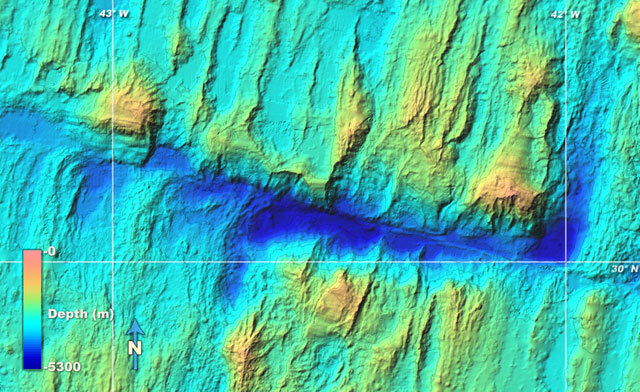 These are found all along the mid-ocean ridges.